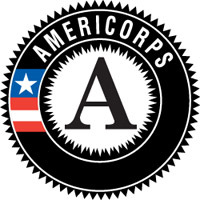 Founded in 1994, AmeriCorps engages more than 80,000 men and women in intensive service each year at more than 15,000 locations including non-profits, schools, public agencies, and community and faith-based groups across the country. AmeriCorps members help communities tackle pressing problems while mobilizing millions of volunteers for organizations they serve. Members gain valuable professional, educational, and life benefits, and the experience has a lasting impact on the members and the communities they serve. In 1993, the Child Abuse Prevention Council of Sacramento (CAPC) began a cost-effective child abuse prevention program implementing home visitation and family resource center strategies utilizing AmeriCorps members in Sacramento County. The program was developed to provide long-term effects on children within the program by addressing risk factors related to abuse and neglect. Now, the CAP Center administers four AmeriCorps programs with nearly 300 AmeriCorps members serving children, youth, and families throughout California. Members are recruited from the communities they serve, are provided training and support, and can earn an education award. With the help of AmeriCorps members, strategies such as home visitation, nurturing parenting, family resource centers, academic enrichment/school readiness, and foster youth mentoring can be addressed.